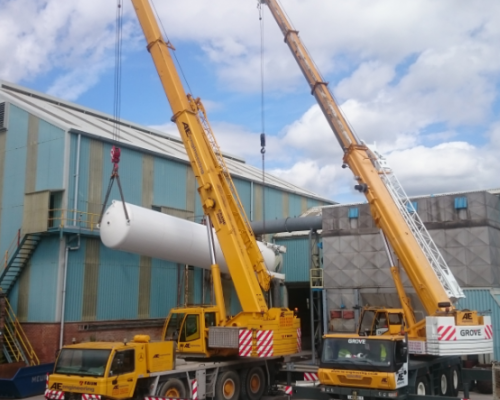 Along with our experience of installing CO2 pressure vessels for a number of purposes, we also remove and transfer vessels when necessary for future production and efficiency. 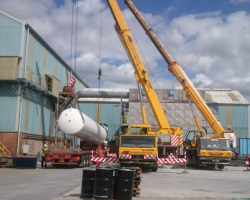 This CO2 pressure vessel was originally installed at the base of an established company in Manchester to help with the process of creating magnesium slabs, but we oversaw it’s removal and subsequent transfer to another customer. 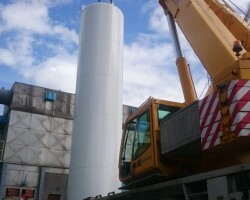 We had recently installed another large tank at the Manchester company’s facility as they began to venture into new business areas, so we ensured the original tank pictured here would still receive the best use possible and therefore saw it successfully transferred to the new facility.